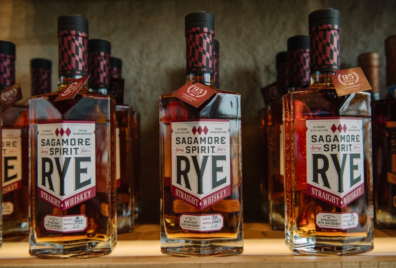 From the American Craft Spirits Association: As you know, last week we achieved a historic milestone for the alcohol beverage industry, but most significantly, craft spirits producers. From day one, the American Craft Spirits Association (ACSA) has fought tirelessly to reduce the Federal Excise Tax (FET), making it ACSA’s legislative priority. Starting January 1st, we will all reap the benefit of the collective hard work that went into getting it passed. I wanted to personally thank each one of you. Without the state guilds diligence and communications to those who serve the U.S. Congress, we would not have been able to rally the bipartisan majority of co-sponsors in both the House and Senate which ultimately led the Craft Beverage Modernization and Tax Reform Act to be included in the final tax bill. While now is a great time to sit back, pour ourselves a dram, and toast to our achievements, it is also time to rally the troops. This victory will save each one of us $23,328.00 per 1000 cases at 45% ABV but only until the end of 2019. Right now, is the time for all craft distillers to stand up and be counted. The best way to do that is to join your member owned organizations that fight for you, both the ACSA and your State Guild. The membership dues are a fraction of what you will start saving January 1st and will help ensure that our FET savings live on in perpetuity. Can you really afford NOT to join to realize a further extended tax reduction? If you agree, become an ACSA member. JOIN NOW! Further, please unite with ACSA in Pittsburgh, PA March 4-6th2018 for our Annual Distillers Convention and Vendor Trade Show where we will outline the next important steps in legislative efforts as well as learn a ton and have a heck of a good time. Let’s celebrate together our victory and strategize how we move forward our industry! Click here for more information.